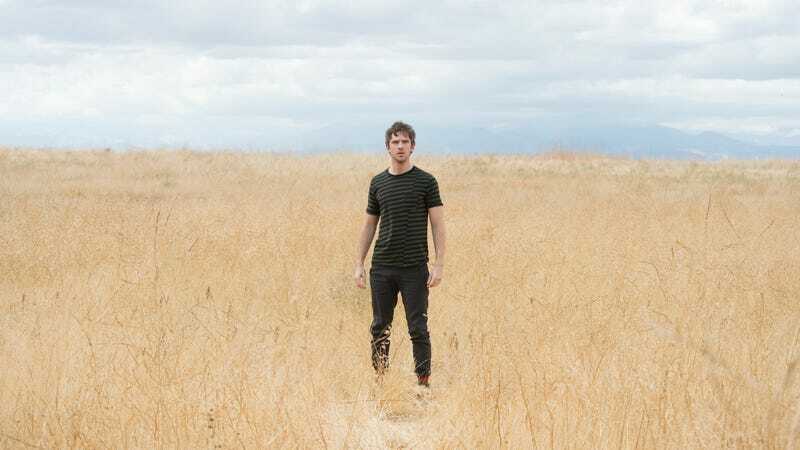 Strip away all the dance routines, the cafeteria boats, the parables narrated by Jon Hamm, and Legion is fundamentally a story about a person trying to reinvent themselves after a lifetime of false premises and tragic mistakes. But also, he’s a mutant superhero trying to save the world—and the show is reminding us of that. “Chapter 10” might be the most straightforward installment of this series to date, which is to say it’s about twenty percent less weird than normal. Much like “Chapter 7" last season bent over backwards to catch everyone up and make sure the audience knew exactly what’s going on, so too does the second episode of this year provide multiple scenes intended to make clear where we are, what the narrative is, and what our heroes plan to do. We’re hunting Amal Farouk, the Shadow King, but David is secretly helping him to find his body. There are powers aplenty, everyone seems to think they know what’s best for David, and the series does everything but have Uncle Ben drop in to say, “With great power comes great responsibility,” just so it can tell him to shove it. Actually, when Melanie Bird tells David to take Syd, run away, and try to live the rest of their lives on a secluded mountaintop away from Division 3 in order to eke out some small measure of happiness in this fucked-up world, it’s basically the same thing. The question of reality, of choosing your own perception, anchors “Chapter 10" in a manner even more direct than how the theme usually pops up in this series. Lenny tells him in the opening scene that memories are as real as we choose to let them be. “You remember it—so it happened,” she reminds him of the confabulation of their times together as drug-addled junkies. Melanie’s heartbreaking speech to him is a stark reminder that we only get one chance to choose what memories we’re making, that happiness only stems from a timeline that is always progressing toward a definitive endpoint, and you can’t relive life, no matter the regrets accrued. And even Syd weighs in on the subject, abruptly reminding him that they decide their own reality, and if that means trusting future-Syd and helping Amal Farouk, well, that’s what it means to commit fully to a relationship with someone else...even if that someone is years away from existing. But that’s where things get sticky, and I mean that quite literally, given the trail of delusion-creature black goo we see making its way into David’s room. We’re not just different people from place to place and year to year. We’re always changing, and who we are now isn’t who we will be, or even who we were. You’re not the same person you were yesterday: The new accumulation of experiences and emotions has changed you, even if it’s ever so slight. 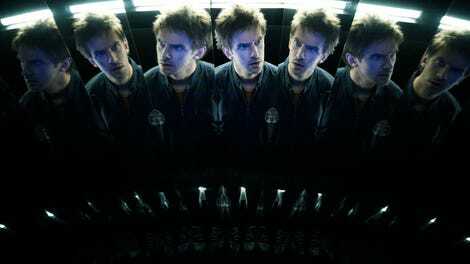 And the great tragedy of Legion is that David can’t yet understand the differences, or see his own major change coming. Future-Syd hints at it, telling him that he’s sweet, how he “used to be,” which is the darkest portent yet for David Haller’s future, even if he is still alive. A coming plague that wipes out humanity, David’s not around but not dead, and they need Amal Farouk alive to combat it? Who’s to say David’s not responsible for the upcoming nightmare? “It started like any other idea—as an egg,” future-Syd says, hearkening back to the story from the premiere. God forbid we’ve been watching it hatch and grow right now, but there’s a delusion building in front of our very eyes, and we don’t what it is. “Umwelt” is the name given to the fourth chapter of Jon Hamm’s interstitial stories, and it’s a fitting one, a German word meaning the world as it’s experienced by one particular being. Unlike ticks and dogs, humans develop abstracted ideas through which they understand the world. It’s the reason we can go mad, he reminds us, and it’s also a means of demonstrating that you don’t need to be locked up with the other teeth-chattering victims of the Catalyst to be dangerously removed from reality. Sure, reality is what remains even after you stop believing in it, but it’s also what was there before you had anything to believe in the first place. We just can never know, because once we’ve got ideas in our heads, dictating what we choose to accept as the world around us, it retroactively changes our understanding. We never had a choice; the Shadow King was always there. “You’re so different,” David says to future-Syd. “Time does that to people,” she replies. Time is a form of belief, because as we progress through it, we can’t sever what it does to us. It makes us something else. It’s not just David’s world the Shadow King is continually upending. Kerry and Cary Loudermilk are a bit screwed at the present, as well. (Kind of rude of David not to ask Farouk to fix whatever he did to them, now that I think of it.) Lenny’s little spoon-tapping spell scrambled their usual powers, preventing Kerry from re-entering the body of her connected soul, and instead almost trapping Cary instead. (Thank goodness for the transformative powers of “Buffalo Soldier.”) It’s a small thing, but Kerry’s fear of having to live outside of the protective cocoon of her sibling is deeply affecting: When she says, “I don’t wanna be out here the whole time,” it’s the most moving line she’s had since she explained their relationship to David. (“He makes me laugh, and I keep him safe.”) Poor Cary starts the episode being pulled through the floor by Lenny, and ends it having to try and calm his troubled other half. The other big realization here was learning Lenny is a whole identity, frustrated and trying to escape the Shadow King’s control. That whole “We’re trapped” line from the premiere wasn’t just some odd aside; she’s desperate to return to some kind of life, if Farouk will let her. Does she have her own jumbled assortment of uncertain memories and history with David, or is she just the Clockworks patient whose persona Farouk stole to play whispering angel to David? The show is playing coy with these questions, which is fine: Especially after an episode so structured toward providing explanations and answers, keeping a few things in the dark isn’t an issue. After all, that monk could probably use some company. Credit to tonight’s director Ana Lily Amirpour. I was looking forward to seeing what the arthouse weirdo would do with the visuals, and from David’s 2001-meets-Tron trip outside space-time to Farouk rubbing out the fortune teller booth, she didn’t disappoint. Bonus credit for Lenny and Oliver continuing to sing as they vaporized soldiers. Marvel Easter egg: Cary saying the orb technology was “not Shi’ar” alien tech probably made a lot of X-Men fans very happy. Also, it was further evidence that future-Syd really is Syd, since future-Cary might have made the damn thing. Now we have a name to call the mustache androids who provide Fukuyama’s voice—Vermillion.